Surprisingly, Venezuelan President Nicolas Maduro admitted that socialism had ruined his country. 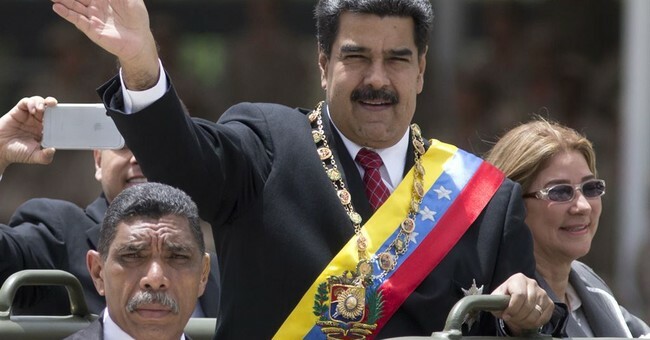 This week Maduro blamed the Socialists United Party for the failed state of the nation. The economy is a complete wreck. Socialism wrecks countries, bringing disaster and misery to the citizens. The left has no problem with the apparent wrecking ball effects of universal this and universal that. Bernie Sanders and Alexandria Ocasio-Cortez are trekking all over the United States touting that it is a good system, pretending to be compassionate, moral people when the left-wing system of power is immoral itself. Bernie and Ocasio-Cortez are going to different cities telling people how great it is when the government pays for everything while ignoring all of the debt and other problems that come with it. Sure, they make free health care, college, and basic income seem like a great idea. However, anyone who knows a little about how government operates knows socialism always ends in disaster. Finland and Canada decided, because free health care wasn’t enough, some citizens needed a universal basic income, where the government gives citizens a certain amount of money a month for doing nothing. Like most people who think with their hearts, and lack common sense, the free money program was too expensive, and now they are scrapping it. The elimination of these programs is no coincidence. A government cannot survive by giving money or services away. Politics cannot be in a system that primarily focuses on the economy. Socialism is a political program based on other people’s income. When the government raises taxes to fund existing and new programs, there will be a collapse. History has proven the rhetoric that Sanders and Ocasio-Cortez spew doesn’t work. Sanders likes to use Scandinavia as an example of socialism, and why it works, but the universal income argument is falling apart. Furthermore, this system of government is capable of operation when a country is in the European Union because they can lean on the organization. Venezuela stood alone. They had no help. That is what makes them a valid test for the results of socialist rule. The United States isn’t part of the European Union. We are a free nation. Socialism binds people in chains to the government. There is no freedom in the socialist principles. Taxes go up, and there is more government dependence. Those attempting to implement the fringe left political system into American politics effectively are trying to dismantle our Founding Fathers design of a nation with a limited government. Socialism gives government power, so when Bernie starts yelling with spittle spraying on his audience, he is lying. Socialism isn’t meant to benefit people. It is designed to help elected officials. Maduro surprisingly did the right thing by admitting the system failed. Bernie should be intellectually honest and accept what he has been running on is a failed idea; however, he won’t. No matter how badly socialist ideas fail, the left will always pursue them because they are in constant desire of more power. Control equals power. Universal health care, income, groceries, or whatever are the conduits to which leftists gain control into individuals’ lives, bringing power over them. Leftists roam the earth seeking to destroy anything that stands for goodness, honor, freedom, and liberty. It’s time for the left to admit socialism is garbage.